Prague, the capital of the Czech Republic, is one of the most attractive tourist and meeting destinations in the country. The City of a Hundred Spires, which is bisected by the Vltava River, is renowned for being one of the most beautiful capitals in Europe. Prague is never off-season, and with direct routes from 165 destinations, nearly 800 hotels and 92,000 hotel beds, the city can accommodate even the most demanding events. Prague has inspired many notable artists and scientists. The city’s mysterious atmosphere is reflected in the works of Prague’s native son Franz Kafka. Wolfgang Amadeus Mozart, who famously claimed “the people of Prague understand me”, completed and first performed his best-known opera Don Giovanni in the city 230 years ago, in a theatre that still stands today. But visitors to Prague will find more than just culture, as the city is an up-and-coming business destination that offers a wealth of incentive ideas. For businesses hosting incentive events, it can be difficult to produce an event that keeps all attendees engaged. In Prague, however, the availability of a number of unusual sites means business trips are always interesting. The unique memorial to Beatles co-founder John Lennon – the Lennon Wall – is one such location. Once an ordinary whitewashed wall, it has been covered with graffiti inspired by the musician since his death in 1980. The wall changes every day as visitors and locals alike paint their messages on it. The graffiti workshops offered by local destination management companies are an excellent activity for groups and offer an interesting look at Prague’s history while letting clients get in touch with their creative side. The Czech lands have been famous for their glass industry for centuries, with luxury glassmakers such as Moser, Crystal Bohemia and Jablonex Bijouterie all operating in the city. Since the 18th century, Czech glass masters have been known all around the world for their work with crystal. Business travellers can visit any of the several glass galleries in Prague, where they can admire works of art and paint their own piece of glass as a souvenir from their trip. Those who are more musically minded can follow in the footsteps of the many conductors and composers that the city has produced at a team-building violin class. Experienced lecturers will introduce the class to the basics and help attendees become a musical virtuoso for just a moment. As well as experiencing the city’s artistic heritage, visitors to Prague can enjoy a historic tram ride. Travelling through the city centre to Prague Castle aboard one of these charming vehicles is a great way to showcase the city’s most popular sights to clients. Recently, Prague’s public transport company re-introduced another tram to the city’s streets: the iconic T3 model from the 1960s, adapted to modern use with the addition of a glass roof, bar and dance floor. An important part of Prague’s identity is its breweries, which visitors to the capital should be sure to visit. Incentive organisers can take a tour of the best pubs in the city, including the oldest in Prague, and soak up the atmosphere of a city with a long tradition of beer brewing – and drinking. One of the first breweries in the Czech lands was located at the Brˇevnov Monastery in Prague in the first century; you can still sip a glass of local beer there today. 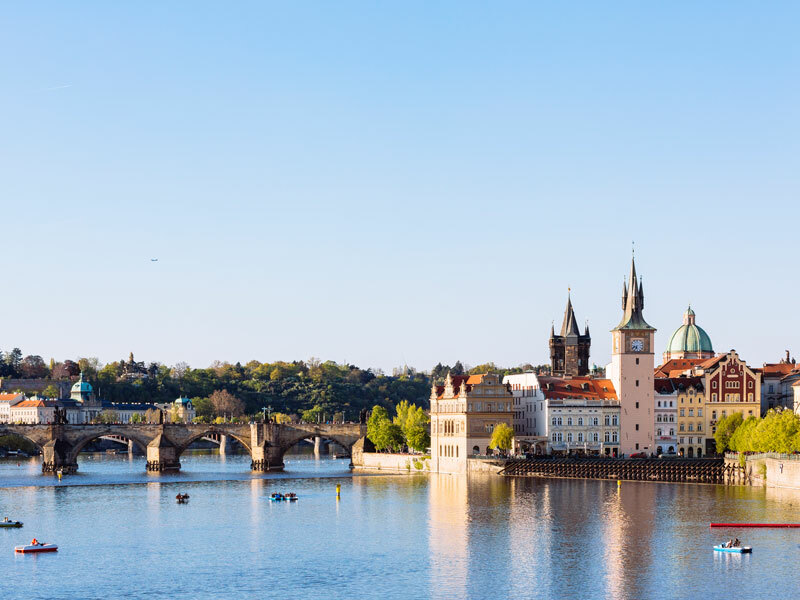 Anyone looking to organise a business trip in Prague should not hesitate to contact the Prague Convention Bureau, the key representative of Prague’s meetings industry. Established in 2008, the bureau can provide impartial support, information and incentive ideas to companies, associations or ambassadors looking for an ideal destination for their next event.